I try to add or delete some files frrom my external SD card via Aridroid web but I can't. 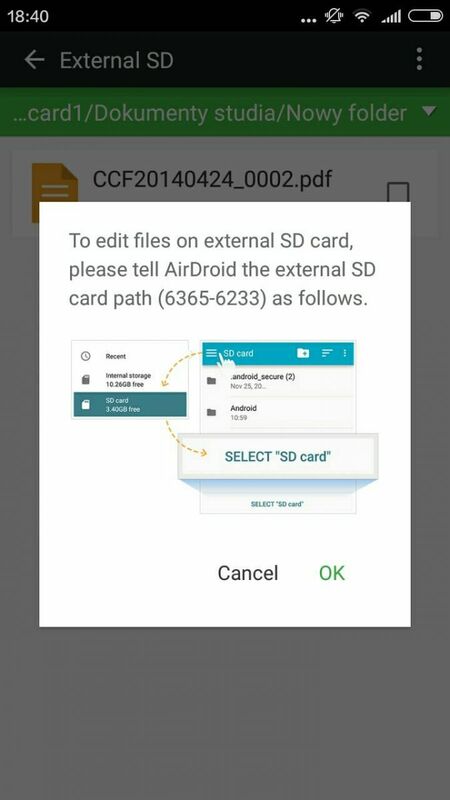 Every time I see the information "tell Airdroid the external SD card path on the phone" and I follow the instructions clicking "OK" [photo 1] it takes me back here [photo 2]. I have an android and bought an sd card to free up space,I want to no how to tranfers pictures, music etc on to sd card on the phone using airdroid?